Welcome to the Xperia X10 Blog! 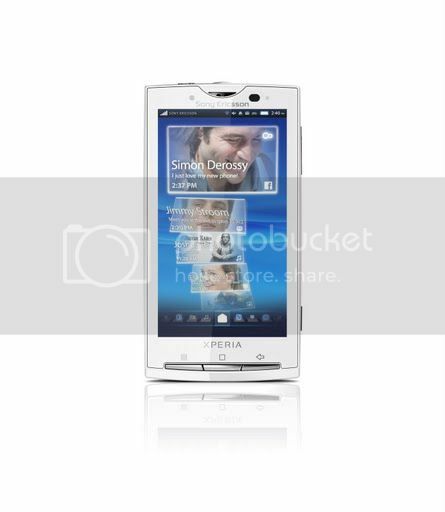 Today we are launching a blog dedicated to the Sony Ericsson Xperia X10 Android smartphone. We endeavour to bring you the latest news, reviews and tips on this powerful smartphone as we eagerly await its release. The Xperia X10 was formally announced [PDF] on Tuesday 3rd November 2009 and looks to be one of the most powerful Android handsets when it hits the market in Q1 2010. The phone will be armed with a 1GHz Qualcomm Snapdragon chipset, 8MP camera, 1500mAh battery and will land with Android 1.6 (Donut). Much like HTC and Motorola, Sony Ericsson will be tweaking Android with its own UX (user experience) platform. Timescape integrates social media services in a fresh graphics interface (GUI), whilst Mediascape organises all of your media (music, photos and videos). There is still a while before the phone is released and I imagine that there will be some refinement as we approach the handsets launch date. We’ll do our best to keep you in touch with all of the latest developments. For a full list of specs check out the Specifications page at the top, you can also see a number of photos of the phone (in black & white) in the Gallery page.